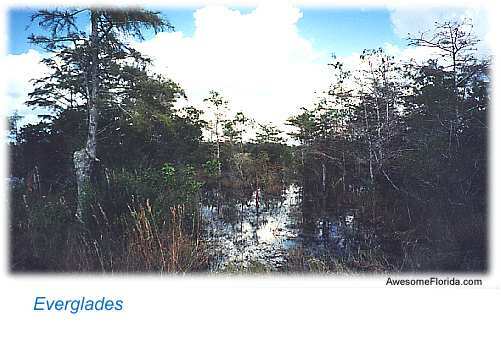 This expansive area in south Florida called the Everglades is absolutely awesome! At first glance the casual observer may see little more than endless tracks of grass punctuated with clusters of trees. However, take a little time and examine closer. Only then can one begin to appreciate the fantastic beauty of this natural wilderness. 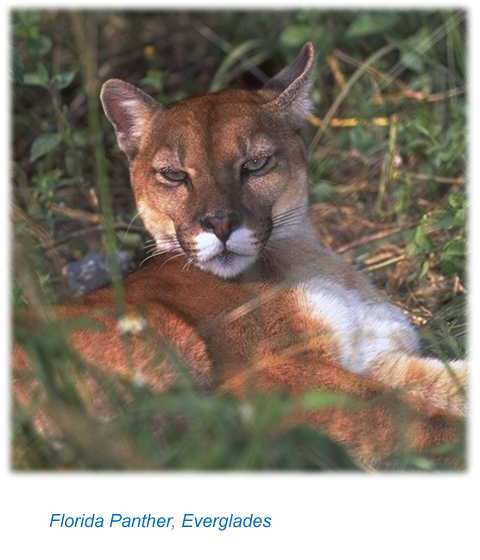 With its hundreds of species of animals and flora, many which are unique to this area, the Everglades is truly a celebration of life. 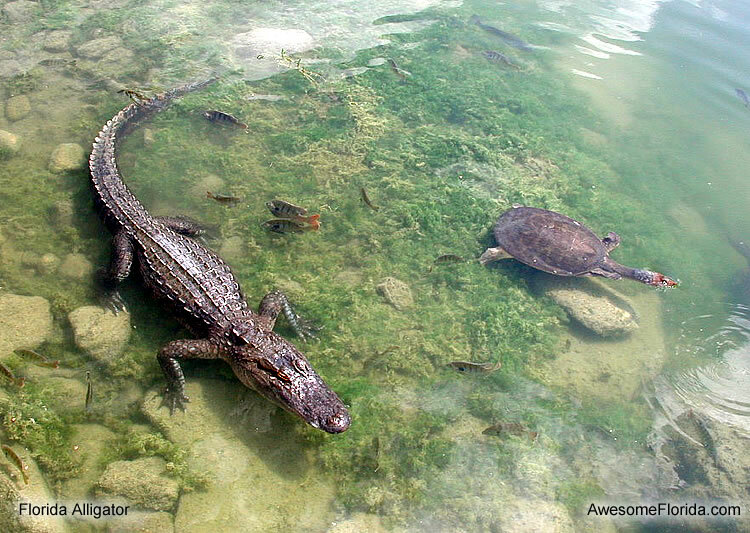 The Everglades is actually a shallow, slow-moving, freshwater river nearly 50 miles wide! At its head is 700 square mile Lake Okeechobee. 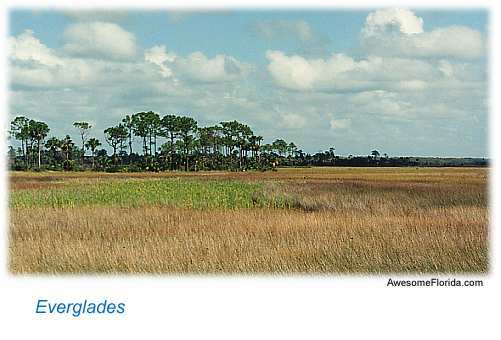 The Lake Okeechobee-Everglades Basin covers nearly 17,000 square miles. Overflow from Lake Okeechobee together with rain water accumulated along the way flows slowly to the sea. 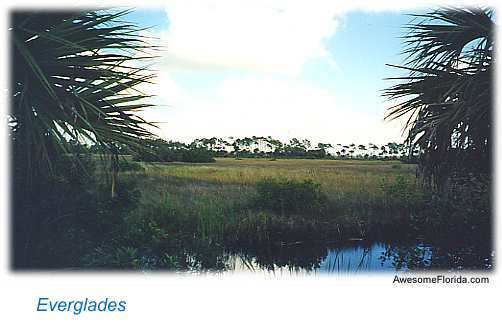 Within this "river of grass" are are vast expanses of sawgrass prairies populated with sporadic stands of tropical hardwood hammocks. This seemingly endless sea of grass and "swamp" is occupied by the American alligator and crocodile, otters, the magnificent Florida panther, bobcats, roseate spoonbills, ospreys, snowy egrets, great blue herons, dozens of species of reptiles, and many mammal species. 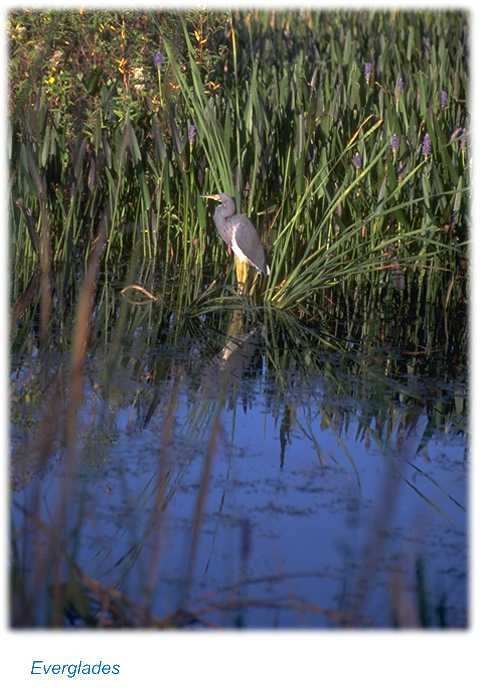 Hundreds of kinds of fish and over three hundred varieties of birds also make the Everglades their home. Small hammocks of raised vegetation that frequently include palms, pine, live oaks, gumbo-limbo trees, and cypress are like little islands in this sea of grass. 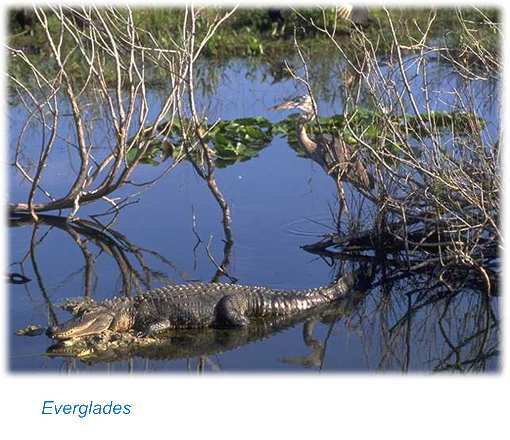 Everglades National Park, established in 1947 to protect this fragile environment, represents only a portion of the Lake Okeechobee-Everglades Basin. Still, this national park covers over one and a half million acres of aquatic wilderness. 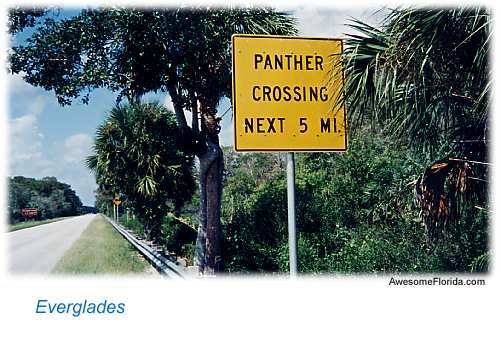 Exploration of the Everglades during the summer can be brutal for the unprepared. The hot and steamy rainy season brings enormous clouds of unrelenting mosquitoes. Winter is a bit more friendly to the human species offering an excellent opportunity to visit this unique wilderness.